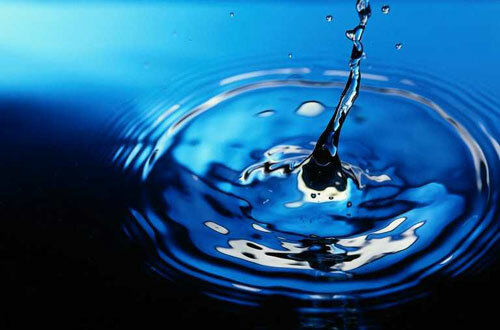 Water…the most important necessity for life – our life. Few realize that in the heirarchy of needs water comes first – before food – before shelter (and those three are the only actual necessities in life). Our bodies are 75% water and nothing is more important to health. Lack of drinking water is also the next big crisis. WATER! Wars will be fought over it. Fights between communities, states and countries are inevitable. Water rights are going to be a growing political issue with winners and losers. Did you know that in Austin, Texas, luxury homes are being built in areas that have no city-provided water? The builders and home-owners are prohibited from drilling a well and can not obtain water from any water district so they use water collection systems and water tanks to collect rainwater. Texas is going to have major water issues as population continues to increase and Texas ground water diminishes. 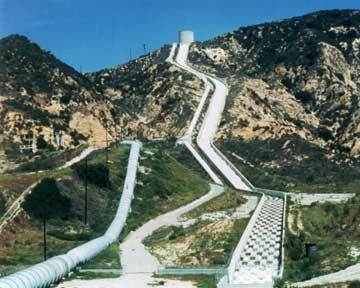 Most of the heavily populated areas of California were a desert and only exist because there is an aqueduct system that brings water from far away. Before 1990, California wanted to ban the growing of certain crops including alfalfa to reserve the water for cities. California water rules curtail development. Their water comes from the Colorado River and there is already a Colorado River Water Shortage proposal. Some even believe desert cities like Las Vegas, Los Angeles and Phoeniz will be depopulated by a shortage of water. Water shortages will potentially affect us all – yet another symptom of artificially concentrating populations in cities instead of living sustainably in rural communities (but that is a subject for another day). In many countries there is no drinking water available because of poverty. While we may be slowing killing ourselves with flouridated water, at least we do not see people around us dying immediately – and make no mistake – people in other countries ARE DYING from lack of safe drinking water. Ryan founded the Ryan’s Well Foundation – at age SEVEN! SEVEN! – and has provided water for 630 water projects in 16 countries bringing clean water and sanitation to 700,880 people! If he can do that WE can at least help him. This video is an excerpt from a movie about Ryan’s accomplishments. There is a very short commercial on the front but I assure you it is well worth watching. If Ryan can do that at his age and sustain his efforts so long, what can WE do? Donate time or money to The Ryan’s Well Foundation. Learn where your water comes from – use resources like this one for California water sources or the EPA Local Drinking Water Information Maps. Consider installing a grey water system to reuse water for watering your yard, landscape, trees or garden. Plant a water wise garden. Think about the quality of your water and what you can do to improve it. Healthy water = healthy bodies! It’s shocking to hear that in our own nation we’re running out of water supplies and the water we do have isn’t as clean as we thought it was. I think the Ryan Wells Foundation is incredible! If a seven year old can bring water to 700,000 people, I think we can at least try a little harder to conserve the water that we do have. We’re a lot more fortunate than most other countries and we shouldn’t take it for granted. Only one thing I checked which is going wrong- [http://www.goodmillwork.com/10-ways-to-go-green/] this link does not seem to work, the domain seems have expired. anyway. But it was a nice article anyway. Yes, that business is now gone. I have a broken link checker plugin running that will eventually highlight all broken links so I can remove them, but it has to run gradually so it doesn’t slow down the site. I removed that link. And few fail to realize how easy it is to actually attain water. Learn how to collect water yourself and then help others who are unfortunate get water easily. Never really thought about water shortage in well-developed parts of the world. I am from the Netherlands where the tap water is from equal quality to bottled water. But I live in China now and there you can’t drink from the tap, so we all have to order big bottles of water. But still this is a luxury compared to other countries. It is very inspirational what Ryan has already accomplished. It’s no doubt that water is important. Every living thing in this planet needs it to live. Without it, there would be no life. However, there’s really lack of clean drinking water nowadays. I miss the early times when we can just drink right out of the stream. Now, it’s too dangerous to do that. Let’s all work together and support clean drinking water movement. Very interesting information and also very nifty initiative… although… well, we all know that this kind of campaigns only work as band-aids to the planet. No matter how many small groups of people try to help, only when we ALL join together to help the planet there will actually be improvement. But as long as there is total indifference by the normal people and the few persons that have the most power are the ones that damage the earth the most just to fatten their pockets… well, there will never be improvement. That clip of little Ryan made me cry. Water is something we take for granted in America. Water is so readily available in America that most people don’t even humor the thought of it being gone one day. I believe we, as American’s, need to be more aware of the water shortages that exist in other countries, and do everything we can to help. Do you think there is real truth behind the world’s water supply being depleted in 2025? At the rate we’re going and with this article you posted, I fear that we’re really headed in that direction. People need to stop treating water as a mere utility – there is a limit to it and we’re nearing it very very soon. My day job is a Cross Connection Control Inspector. Def: Identifying non-drinking water connections to drinking water systems and having them removed or protected with backflow protection. 20% of the contaminants that we find in our drinking water come from industries hooking up there process water incorrectly called cross connections. Cross Connections are a huge problem! Check out your city’s cross connection control program. Water Conservation is the core of this water scarcity problem. Conserving water even in our own little way will surely help a lot. Yeah – water is really important cant live without it. Ryans Well – the documentary was heart moving. Yeah, it sadly reflects on humanity when water is basically the most abundant thing on the planet. We put a man on the moon years ago, but we can’t figure out how to keep the water clean and plentiful for everyone. Hopefully, improved technology will help so all people meet their needs for water in the future. You would think that we would all be driving solar powered cars by now also, but I guess that is another topic. This is the second post I read that is tackling this issue and I think it’s really great! Water is truly important and it without a doubt, we can die without it. We really needed this reminder so we can do our part and save water now! I missed on this Day.. If I would have come accross your post 4 days earlier, I would surely have done something to get some people to talk about awareness regarding water shortage.. but I still think that we can educate people regarding this big issue.. I was thinking about this the other day, and I kept thinking that nobody gets this because it’s counter intuitive. Water seems so freely available. I’m a Dallas resident (Austin transplant) and didn’t realize that there are people in Austin who have no access to city water. That’s feels a little too close to home for comfort. States like Nevada and Arizona need water. The main source for Nevada is the Colorado, yet a lot of water goes to the growing fields of California. With all the talk of drought and water shortages, can desalisation plants take up some of the slack? I realize it is expensive, but something needs to be done. Water conservation is the only solution to the problem of water shortage. I have supported water projects in Africa. For only a small amount of money to us; it can change a whole village’s way of life. Great article Gail. Here in Australia we are constantly being told to conserve water and we have now had one of the direst winters on record. The farmers are doing it tough and with warmer weather coming; many of them have not even been able to plant crops! We need to be responsbile with out water usage like choose drought resistance plants for our garden, recycle water where possible and have quick showers! I agree 100% that water is going to become a scarce resource someday soon. However, I think that “reducing household use” will have little to no effect on the problem. So, let’s imagine I turn off the sink while brushing my teeth in the morning. Meanwhile, millions of gallons of freshwater is being dumped into the oceans all over the world. Do I really think that my saving 1 gallon is going to make a difference, NO. In my opinion, only when we are at the point that we are collecting every drop of rain and fresh river water is it worth the time to micro-manage my water usage. Just my opinion. I am all about saving those that don’t have the means to provide for themselves, especially for basic things like water! But what if the water that comes from my tap isn’t remotely drinkable, and I have to possibility to buy drinkable water, thus consuming the bottled water instead of the tap water, am I doing something wrong ? It’s inspiring to see someone at the age of 7 take on an issue that some feel is insurmountable. We all need to do our part. Water is an increasingly precious commodity, the important social characters of water is its role in human nourishment, health and sanitation as well as peace and conflict avoidance. Hi Gail, this topic is one that many of us don’t like to think about. It’s not our fault in a way because we feel that there is nothing we can do to help provide clean drinking water to those in need when they are so many miles away. Thanks for sharing this thought provoking video and post as it shows a way that we can make a difference. Ryan is an incredible individual. We get our water from an underground well. Its pretty good stuff, just requires a small amount of filtration from dissolved granite (calcium & phosporus). My sister is a hydrologist, and she’s been able to travel and assist in international water charity work… we can’t all have those skills. We all need to make better choices. Like not buying water that has been shipped from Fiji. Seriously… how big is the carbon footprint of a bottle of water that’s been shipped thousands of miles? Doesn’t that contribute to the overall climate issues? It’s curious to think that our planet has more water than ground. Even, with the climate change and melting icecaps it’s evidence that water increases and ground areas dissapear. So what we need is to know how to manage best all that vast expanse of water and for sure that all the problems with water would dissapear. PD. Thanks for the link! No matter how much contaminated water we get, it is still good enough to fulfill all our needs so we shouldn’t be wasting water. If we conserve our resources now, we may remain water-filled for years to come. Besides that, very wonderful article! Thanks for reminding all of us how much important water is to us. I’ll see what I can do within my reach but one thing is for sure, our kids are filled with enormous amounts potential and thoughts only if we back them enough. Ryan has shown us what kids and all of us can do if only we back ourselves and get backing from others on whom we rely.